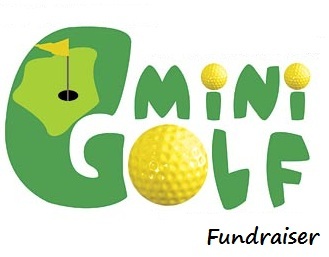 Strike a Hole-in-One with a Mini Golf Fundraiser! A new offering at Thornleigh Golf Centre is our Do-It-Yourself Mini Golf Fundraiser. Fundraising is a tough gig, and trying to think ‘outside the box’ when it comes to fundraising ventures can be where you may hit a brick wall ideas wise. Well, TGC can make your next fundraising venture all about FUN in the outdoors, while raising those much needed funds for your next fundraising venture. There are not many people who don’t like a game of mini golf. Everyone, at one time or another, has played mini golf, also called putt-putt golf. It’s still a great way to get people outside, having fun, and helping to raise money for your cause. Putting on a mini golf tournament at Thornleigh Golf Centre is easy, and just requires a little planning to make sure it goes off without a hitch. We will make it easy to plan your fundraiser, we have everything you need—clubs, golf balls, and scorecards etc. There will be a small nominal fee charged per player for the group plus we will throw in free prizes as giveaways (golf passes, golf balls etc). We can help advertise by advertising through our social media channels, placing flyers in our centre and links on our website. Plus, you can include the information in your church or school newsletter, flyers around the community would work well also. Thornleigh Golf Centre has a function space you can use, and also the Bunker Café can cater. Regardless of what type of fundraiser or your budget, Thornleigh Golf Centre can offer a cost effective option tailored to any event.